Yet another toll hike announcement, coming after that for Maju Expressway, SMART Tunnel, DUKE Highway, Karak Expressway, LATAR Expressway, Kajang SILK Highway, Guthrie Corridor Expressway, Besraya Expressway, AKLEH Highway and the New Pantai Expressway (NPE), with the Kajang-Seremban Highway (LEKAS) joining the list. Highway concessionaire Lebuhraya Kajang Seremban Sdn Bhd has announced new toll rates for exits along the 44.3 km-long highway. 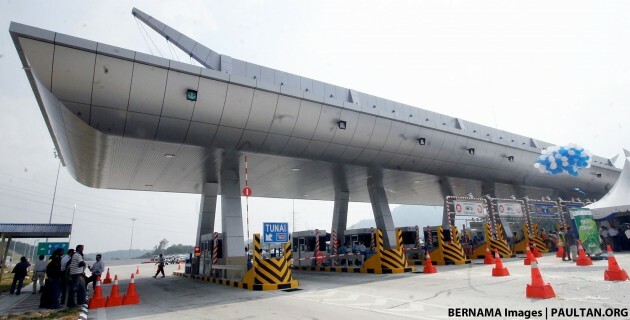 The new toll rates for Class 1 travel, on a journey beginning from the Kajang Selatan toll plaza, are as follows: RM1.30 (exiting at Semenyih toll plaza), RM3.40 (exiting at Pajam toll plaza), RM4.80 (exiting at the Mantin toll plaza) and RM6 (exiting at the Setul toll plaza). The new rates come into effect on October 15, and replace the current toll charges, which for the same route are now RM1.10 for Semenyih (making for a 20 sen increase), RM2.80 for Pajam (a 60 sen increase), RM4 for Mantin (an 80 sen increase) and RM4.90 for Setul (up by RM1.10). The E21, which was completed in 2009, connects Kuala Lumpur via its eastern sector to Seremban, and operates on a closed toll collection system between Kajang and Setul. I am happy to give. Hello kawan kawan, only 20 sen lah. 20 sen cannot even buy assamboi today. Rakyat di dahulukan! yeah rite!